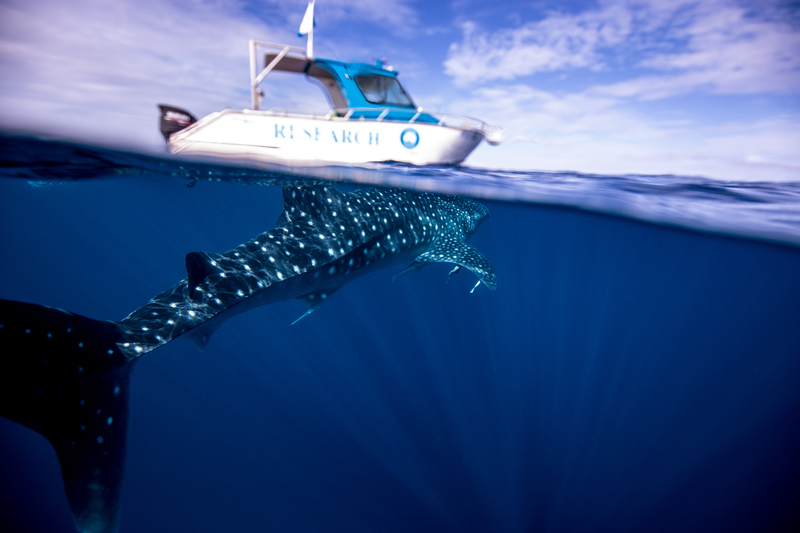 This World Oceans Day, CSIRO scientists will be conducting a world first by collecting DNA samples from the whale shark population at Ningaloo Reef, Western Australia, to determine their age, while also unlocking the secrets of where they travel to and how deep they go. "Taking genetic samples from whale sharks will provide a critical piece of data on their age to help us estimate the population on the western coast of Australia and the eastern Indian Ocean," CSIRO Senior Scientist Dr Richard Pillans said. "We will also be using satellite tags to track where the whale sharks go to gain insight into their behaviour. 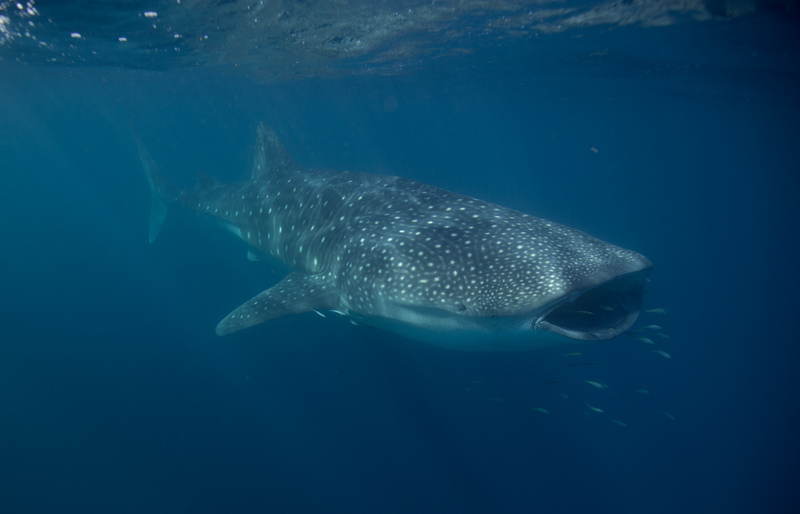 "Previous tagging has revealed whale sharks travelling south to Perth and others have been located as far as the Gulf of Carpentaria, 3500 km away. "We have also discovered a whale shark travelling as deep as 1.8 kms," he said. Although the largest fish in the sea, the whale shark is very elusive with much of its behaviour still unknown. 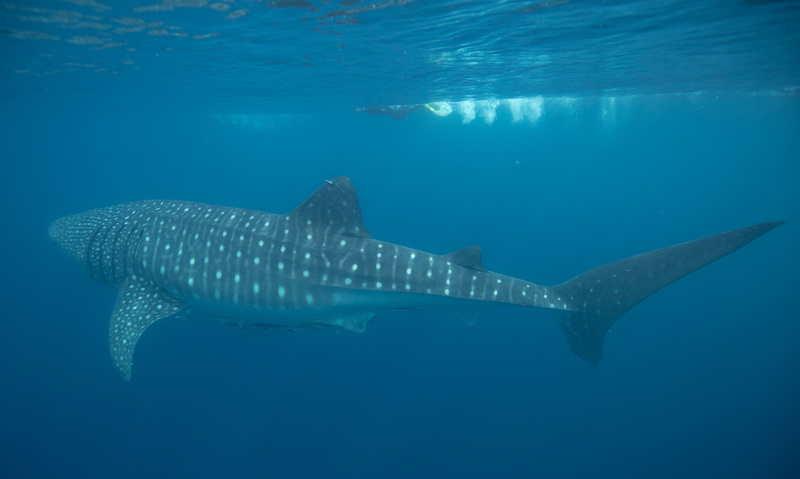 Whale sharks are attracted to Ningaloo Reef to feed, and form part of the reef’s diverse marine ecosystem. CSIRO is conducting extensive research of this heritage-listed area as part of Ningaloo Outlook, a five-year, $5.4 million research partnership with BHP that includes turtle tagging, coral reef surveys in deep and shallow water and marine debris assessment. CSIRO's partnership with BHP highlights the importance of industry-research collaborations to develop scientific knowledge on complex marine sanctuaries and is an effective way to engage the community. "Our oceans are vast, and there is still a lot that we don't know, however BHP’s partnership with CSIRO provides insight into Ningaloo Reef and how to manage it sustainably. "We engage heavily with the broader community to promote this complex ecosystem including the local school and the Australian public who can track marine life online," BHP Petroleum Australia General Manager Graham Salmond said. Along with deep and shallow reef studies and monitoring turtle and shark populations, CSIRO researchers have been quantifying marine debris found at the reef. Ningaloo Reef has low levels of marine debris levels, both in the water and on shore — Port Melbourne, for example, has 500 times the amount of rubbish as beaches at northern Ningaloo. However, marine life, including the whale sharks at Ningaloo Reef, won’t be immune to future ocean threats. 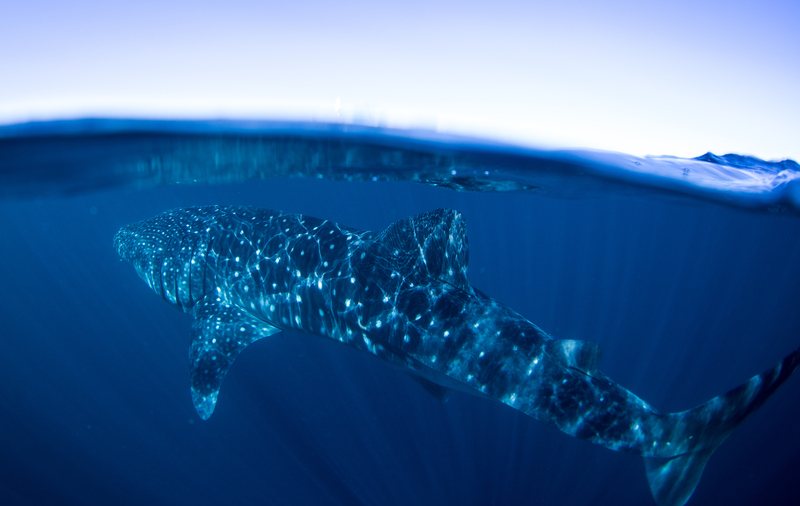 "There’s still a lot to learn about whale sharks and the potential impacts of a changing marine environment but with more research we hope to find out more, including where whale sharks mate and where they go to give birth to their live young," Dr Pillans said. World Oceans Day is a global initiative and highlights the importance of our oceans and marine resources.